The BBC Norman Beaton Fellowship (NBF) is a flagship initiative run by Radio Drama as a key part of its (((soundstart))) actor talent events. The Royal Exchange Theatre and its associate company Regional Theatre Young Director Scheme (RTYDS) ran two 5-day Introduction to Directing workshops - one for Disabled Directors and theatre makers from the north west, and another for D/deaf directors and theatre makers from across the UK - to tackle the lack of people applying for directing opportunities, and to offer continued support for those who are eager for the next stage in their development. The Introduction to Directing Workshop - a RTYDS programme - was run for potential or early career D/deaf and disabled directors.  The workshops focused on storytelling and theatrical techniques (including devising and script work) led by a core creative team at the Royal Exchange. Sue Emmas, Artistic Director of RTYDS, also led a workshop on talking about your work and funding applications. The participants also watched a Royal Exchange production. The programme was free, with access costs, travel and accommodation covered. Bursaries were offered to participants to cover any loss of earnings. ITD for Disabled Directors: Monday 24 September - Friday 28 September 2018, from 11am - 5pm. ITD for D/deaf Directors: Monday 12 November - Friday 16 November 2018, from 11am - 5pm.